The Texas Association of Consumer Lawyers announces political action committee to fight for pro-consumer policies and candidates. There is enough money and experience in our organization to make a sizable impact on the outcome of Texas politics, Mostyn added. We’re not just going to sit back and let Texas consumers lose at the ballot box, again and again. A newly formed political action committee launched this week in Texas, vowing to work to elect pro-consumer candidates. The Texas Association of Consumer Lawyers PAC (TACL PAC) was created with the long term goal of leveling the playing field between Texas consumers and big businesses. To further their efforts, the organization will elect candidates who support civil justice and access to the courts. Members of TACL PAC will include Texas consumer lawyers who want to change public policy in the legislature by winning elections. "The only way to protect access to the courts for Texas small businesses and working families is to elect candidates who will fight for Texas consumers,” said Houston attorney Steve Mostyn. “That's the mission of TACL PAC. We will invest in Texas elections, and will work to win. It's that simple." One of the founding principles of TACL PAC is a belief in the power of jury trials to level the playing field between average consumers and moneyed special interests. The constitutional right to trial by jury has been under attack for decades in Texas. Insurance companies and big banks have helped to substantially limit the ability of working families to seek redress in court. TACL PAC will use its considerable resources to elect leaders that understand the importance of civil justice. “There is enough money and experience in our organization to make a sizable impact on the outcome of Texas politics,” Mostyn added. “We’re not just going to sit back and let Texas consumers lose at the ballot box, again and again." Membership in the organization is primarily open to licensed attorneys though anyone outside the legal community is also encouraged to join. For more information about the Texas Association of Consumer Lawyers PAC, please visit http://www.taclpac.com. The Texas Association of Consumer Lawyers (TACL PAC) was founded in 2013 to help secure individual citizens legal rights. 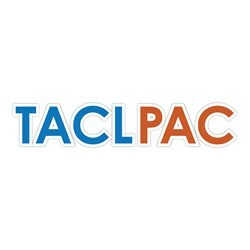 TACL PAC is primarily focused on election efforts though the organization also seeks to engage and inform everyday Texans.